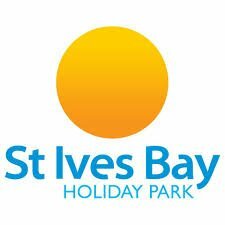 St Ives Bay Holiday Park has everything you need for a delightful trip to sunny Cornwall. With private access to a 3-mile long, sandy beach, where you can spend the day sun-bathing, swimming and – if you have little ones – building plenty of sandcastles, our holiday park is the perfect beach-side getaway. There are also amusement arcades, crazy golf and a tennis court on-site to keep you and your family entertained. Here at John Fowler Holiday Parks, we want to provide you with the very best 2019 family UK break that we can. Established for over 60 years, every year thousands of people trust us with their family holidays in the UK and every year we try to make that experience better than ever! We’ve invested millions of pounds to achieve that for 2019 with new and upgraded lodges, caravans and chalets, new facilities and activities for you to enjoy plus an action packed entertainment programme. We’ve also added to our line up of themed weekends to bring you some unforgetable experiences. Plus we’ve held prices across many dates and parks so you’ve got more money left in your pocket for that extra little bit of holiday fun!